If you drive a Toyota, then taking your car, pickup truck or SUV to a Toyota service center only makes sense. After all, where else will you find service from Toyota Certified technicians and genuine Toyota replacement parts at competitive rates? 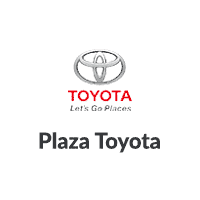 Toyota drivers near Queens and Brooklyn, NY can visit the service department at Plaza Toyota for professional auto maintenance and repair for their vehicles. Our staff has been factory-trained in all things Toyota auto service, which means that your Toyota Camry, Prius or RAV4 is in great hands when you drop it off at our service department. Is it time to have your Toyota RAV4’s oil filter replaced and an oil change performed? When we have your car in for any service or routine maintenance, our Toyota service technicians can also inspect your tires for uneven wear, inflate your tires to the proper tire pressure, top off fluids under the hood, perform a battery test and more. Perhaps your Toyota or other make or car is coming in for more labor-intensive repair, such as warranty work or transmission service. From wheel alignments and brake jobs to Toyota warranty repairs and engine and transmission tune-ups, the Plaza Toyota service technicians do it all! Schedule your Toyota’s next service appointment here on our website, then drive down to our service department, located in Brooklyn, NY. To schedule auto service at Plaza Toyota, submit a schedule service form online or call our friendly service advisors today. If you plan on waiting for your car at our full-service dealership during your service appointment, then feel free to browse our showroom of new Toyota models and enjoy our customer lounge, stocked with complimentary coffee and drinks and featuring free Wi-Fi access. The service advisors and technicians at Plaza Toyota’s service department look forward to providing you with first-rate auto service and customer service soon!